Nov. 24, 2017 3:30 p.m. But the biggest gap between the two wasn’t the time difference in a race, but what it meant. 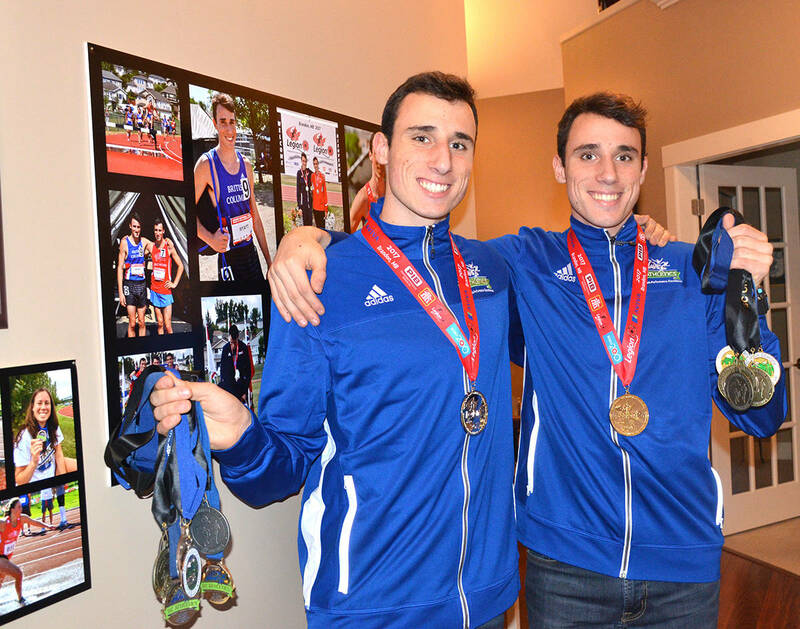 It happened as both brothers were gunning for a spot on Team BC for the Canadian Legion track and field championships. Zach won the race by 1.5 seconds, but placing wasn’t the only thing that mattered — they also had to beat a certain time standard, which Zach did but Tate did not. The result earned Zach a spot on Team BC. 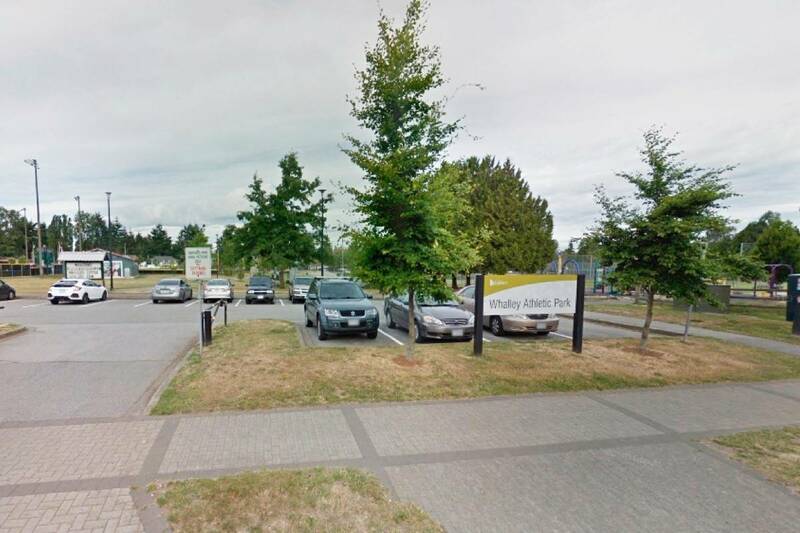 Tate would still attend the Legion championships, but he ran under his club banner, the Langley Mustangs, instead of side-by-side with his brother on the provincial team. “I am not going to lie, it was really tough,” admitted Tate about falling 0.6 seconds short of the required time. “It was probably the worst part of the track season. Even though I got a personal best, it was really hard to take. Zach was in the unfamiliar position of going somewhere without his brother. Did it lead to bragging or any awkwardness? Since they were not teammates for the Legion track and field championships, Zach flew with the rest of the Team BC squad to the competition, which was held in August in Brandon, Man., while Tate arrived a few days later. 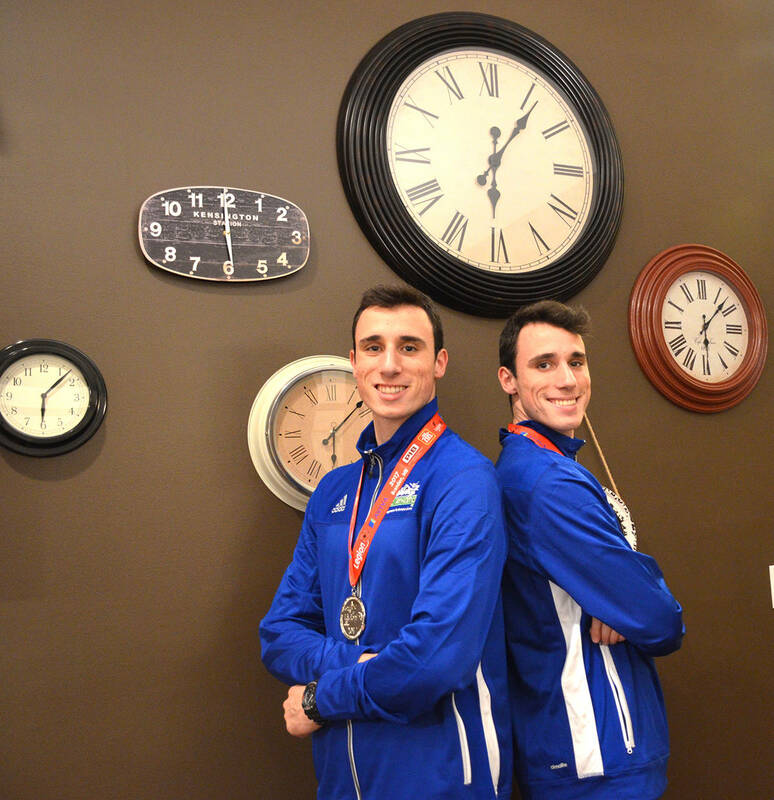 The brothers had not spent that much time apart before, but once they got on the track, they were reunited on the podium, with Zach taking gold in the 2000m steeplechase and Tate the silver. They were separated by less than four-tenths of a second as Zach crossed the finish line in 6:02.38 and Tate a half step behind at 6:02.72. For Tate, missing the mark to make the provincial team served as fuel to drive him harder. The Wyatts did both make the BC Athletics youth team, thanks to their top-four (Zach was third, Tate fourth) at the B.C. provincial championships last month. That earned them a ticket to Kingston, Ont. for the Canadian championships over the weekend. The race did not go as planned as a sudden change in weather turned the course into a slippery, muddy mess and the Wyatts did not have the right length of spike to properly navigate the terrain and finished well back. And while that may have been disappointed showing, the Wyatts want to keep running together for the foreseeable future. Some schools have started calling around, hoping to land the brothers. And while they are open to heading their separate ways, they also know the benefits of staying together, such as being each other’s sounding board, training partner and having one another to combat any adjustments from being away from home.